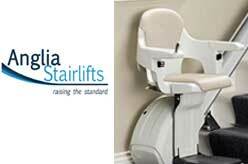 Established in 2001, Anglia Stairlifts Ltd is one of the top stair lifts supplier in the UK. Offers stair lifts to fit any type of stair and can supply, install and maintain straight stairlifts, curved stairlifts and through floor lifts. Peterborough PE7 3GT, United Kingdom.